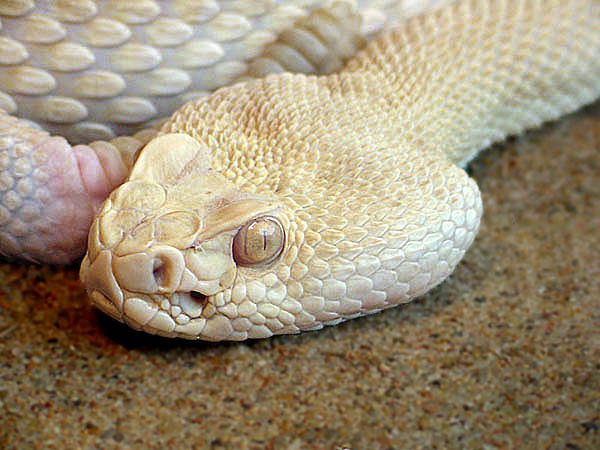 Фото "Albino Western Rattle Snake"
Albino snakes have little chance to survive in the wild due to their lack of camouflage. Birds of prey would easily see them. This one is a resident at the Tulsa Zoo. This is a wonderful shot of a beautiful reptile. I don`t like snakes but this photo is excellent.